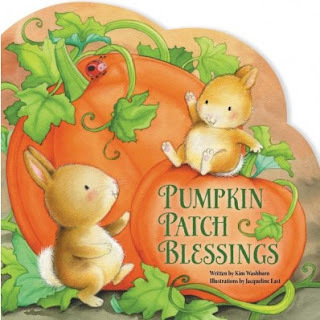 Book Review: "Pumpkin Patch Blessings"
I know no one is thinking about fall and pumpkins yet but me with school starting next week it is closer then we think! This book is a nice board book with lots of cute rhymes. It covers all the fall things from crunchy leaves to pumpkins, hay rides, and so much more! Get your library ready with this great fall book for your younger kids!